I have a ‘show-cpu-seconds-from-ps.sh’ script that displays the cputime delta from ps output. This is the actual CPU cycles needed to update those 400000 account amounts: 5 seconds. And the rollback is the same. 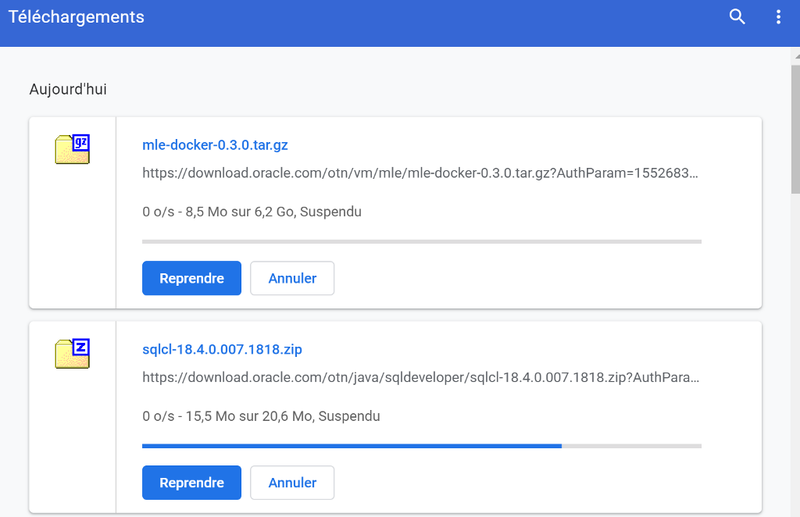 The MLE beta is provided as a docker image containing the Oracle Database 12.2 with the additional MLE libraries. I have created a VM on the Oracle Cloud in order to test it and show an end-to-end demo on Oracle Linux 7. 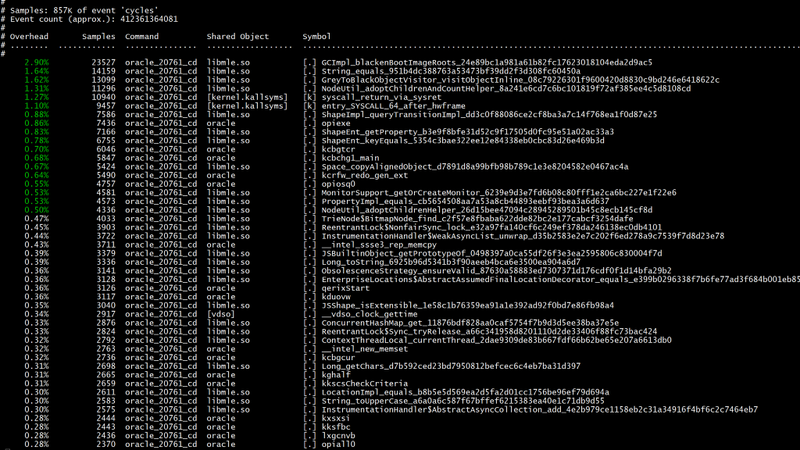 I could have built a docker image containing SQLcl but I’m not a container junkie. 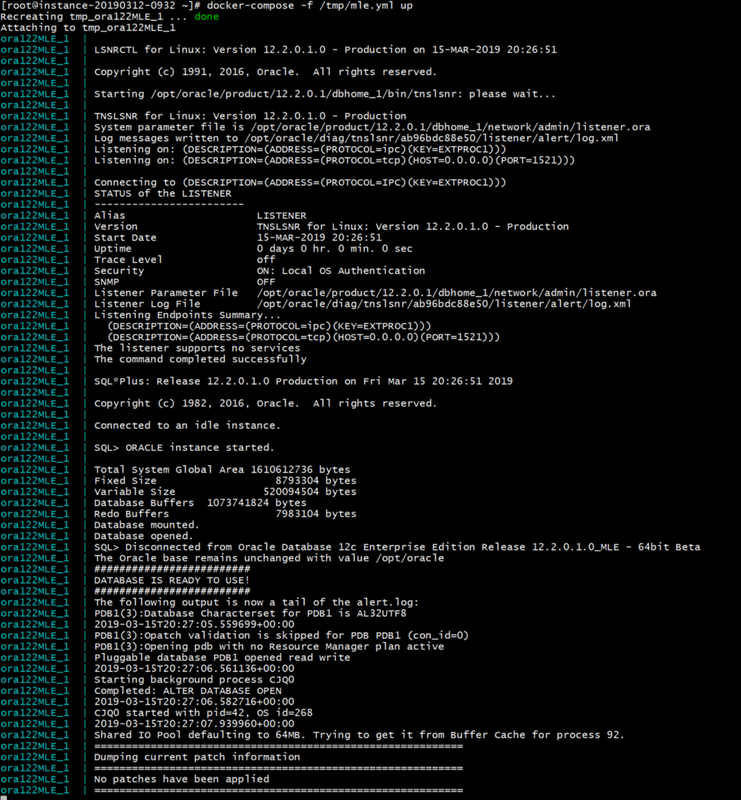 My OS is a virtual machine, SQLcl runs in a Java VM, do I really need to containerize this in between two VMs? Only the database runs in a container because this is how the beta is shipped. [Update 17-MAR-2019] This is ok only with few round-trips between client and server. The implementation of docker-proxy to connect from host to container is not efficient at all, and then better install SQLcl in the container itself or another linked container. The creation of the container, at docker-compose up, is long. Be patient. This is how database docker images work: they have to create the database when creating the container. The reason is that a database stores persistent data, and then can be created only once the container started. And an Oracle database is a big beast to create. Here, I put the database in /var/tmp and the ‘myproject’ directory is mapped to /tmp. The first step is to ask the right questions coming into a project to determine the complexity of the migration. DB2 has a number of unique scenarios that you won’t find in other database platforms, such as PL/SQL integration to attract Oracle customers and a large set of supported Operating Systems. These are essential part of the initial questions that must be asked to prepare for in the project. Is the desire to migrate the databases to Azure VMs, retaining the existing databases and simply bringing over the licenses? What version of DB2, (or 2017 Db2) are the databases that will be migrated to Azure? If the database is post 9.7, is there PL/SQL that’s been introduced to the code base? How much data will be migrated, (as in size and # of schemas)? Any unique, advanced data types? Is there any SQL or database code built into the application tier, (or outside of the database, all outside what the migration assistant can access)? As with any database platform migration, there is terms that must be translated and you also need to be aware of any terms that may have different definitions between the platforms. The term, “instance”, has a different meaning than it does in SQL Server/Azure. Where a SQL Server instance is the installation of the SQL Server “bin” files, the DB2 instance is the default parent database engine, named by default to DB2. Identifying any naming conventions that may have been used differently or confused when migrating is important to deter from mistakes in communication/tasks assigned. Routines: collection of stored procedures and functions that run inside a DB2 database. PL/SQL Collection: Specific SQL language elements built into DB2 to attract Oracle customers. Originally built into Oracle as it’s procedural language extension of SQL. Connection Concentrator: An agent based connector, similar to a listener, but is able to scale and build out 1000’s of web/client connections via applications to the database while only requiring a few physical threads to the actual database. Materialized Query Tables: This is a reporting table that is based off of a query in its creation statement. They are often used in data mart and warehouse databases. Multi-dimensional Clustering Tables: The ability to cluster a table along multiple dimensions, creating better performance upon querying, especially those queries that commonly use the same columns in the where clause. The next steps are what happens during the migration. It’s a two step process, first migrating the metadata, schemas and verifying all data type conversions are done successfully before you approve and proceed to the second migration step of migrating the data. 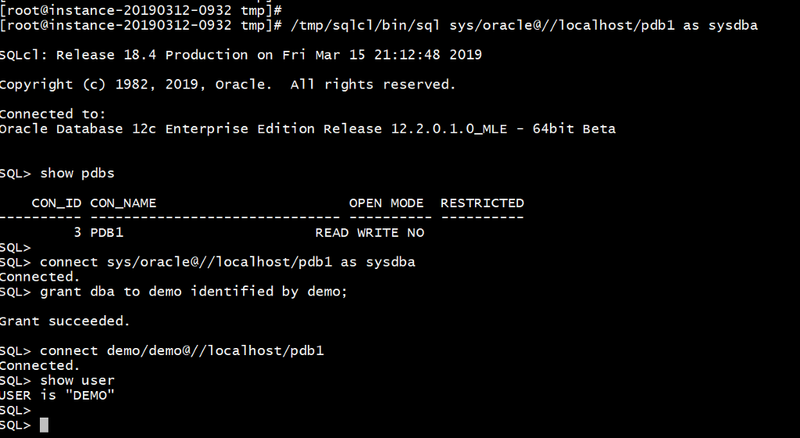 Install the OLEDB driver, SSMA and DB2 Extension Pack on the destination server. Connect the SSMA to the DB2 server and database. Run an assessment report on the migration of the DDL and schemas. Identify any failures in the DDL, data type conversions or object migration estimates. Once resolved, rerun the report until no errors are present or a manual workaround is documented, (actually a rare requirement, see best practices section of post). Run SSMA migration of DDL and objects from DB2 to Azure. Review log to verify all successful. In same project as you ran the DDL migration, click on migrate data. The SSMA will identify each schema and map the data to each user database or to unique schemas, depending on configuration. Will perform another assessment report of data migration for review. If satisfied, (as in all data will migrate successfully with the data type format, etc.) then run the data migration. You have the option to remove any tables not deemed as good candidates for the migration assistant to move over, (see Tips below). The SSMA will migrate the data, table by table into the new database(s). Review the migration log post the completion. Review the assessment report fully for any issues. Correct issues before bringing data over. Copyright © DBAKevlar [Migrating DB2 Databases to Azure], All Right Reserved. 2019. 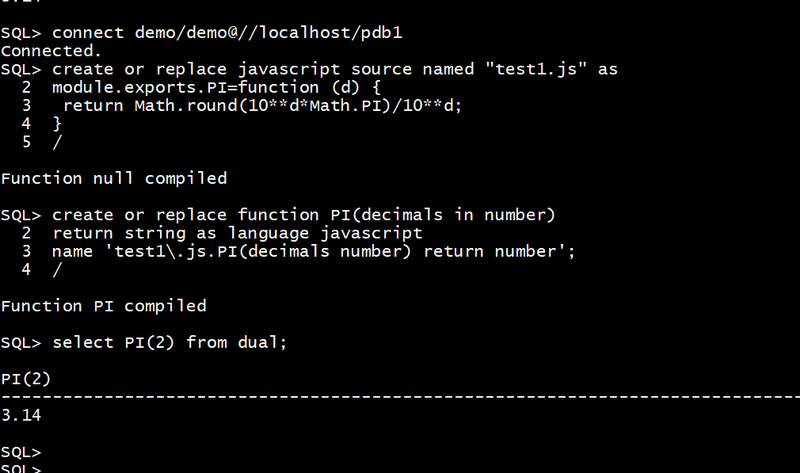 Here is a script I use a lot especially when importing a schema with Data Pump and checking for invalid objects. I usually don’t care about compilation errors at compile time but just run UTL_RECOMP.RECOMP_PARALLEL at the end and check for errors on invalid objects. Here is an example. I want to resolve them, or at least to understand them. I have some error messages like “PL/SQL: ORA-00942: table or view does not exist” but with no mention of wich table. I have to go to the source with line and position. I have some other errors which mention an object which is invalid, but the reason may be a consequence of the previous one. Then I want to see only the previous one. This is why I use the following query to filter only top-level errors, lokking at DBA_DEPENDENCY to get the first ones, and show the line from DBA_SOURCE in order to give a better idea. I can see clearly that I have only one object in error, which has a SELECT statement ignored because the table ELEMENT_INFO is not visible. No need to dig into the code, just checking why this table is not there.